July 22 is Hammock Day. When you think of a TV hammock, who do you think of? 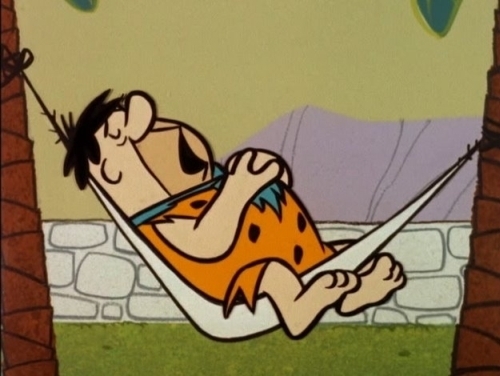 The answer might be Fred Flintstone, who was often seen slumbering in a hammock. 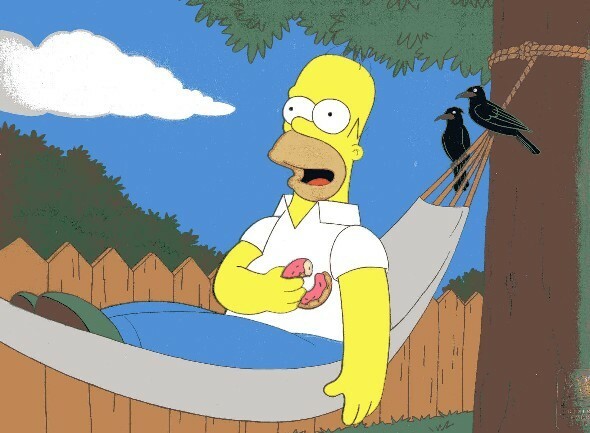 Or perhaps you think of Homer Simpson, who also enjoys hammock naps. But I immediately flash on Gilligan and the Skipper, who slept in hammocks that were stacked one above the other, bunk-bed style. We need another Sherwood Schwarz to jazz TV up. You have made me realize that (save Gilligan) all of these hammocking men were quite corpulent. One would think that hammocks were only made for the lithe and lean. Now I’m going to google Burl Ives in a hammock.